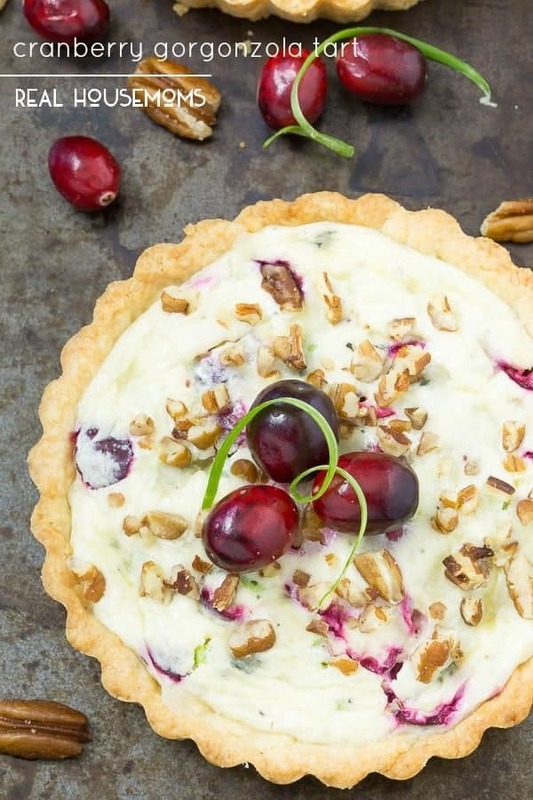 This CRANBERRY GORGONZOLA TART will impress your guests and have them asking for seconds! The holidays are the perfect time to up your game making some new appetizers and today we are sharing one that comes together quick, festive and oh so good! It’s sweet, tangy and would make a perfect addition to your next holiday gathering. I love parties for a couple reasons – the people I’m seeing of course and then the food! I love grazing around the appetizer table and looking for yummy bites to put on my plate. If I had my way, I would live on appetizers. You too? I’m loving everything cranberry this season so it was only fitting that I use them in a savory dish. They are a perfect compliment to the gorgonzola cheese. I also think these would freeze well once cooled completely. Just wrap them good and when ready to serve, bring to room temperature, and then reheat in a 350 oven for about 7-8 minutes just to warm a bit. 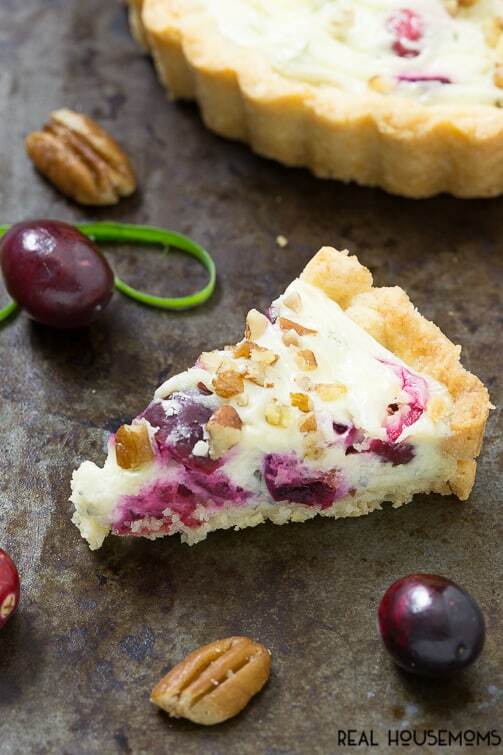 Prepare pie crust as directed on package for one-crust baked shell using a 9-inch tart pan with removable bottom. Trim excess pie crust even with top of pan. Bake 9 to 11 minutes or until light brown. Cool 10 minutes. Reduce oven temperature to 375°F. In a medium combine cream cheese and gorgonzola cheese; beat with electric mixer on medium speed until blended. Beat in milk and egg until well mixed. Gently stir in cranberries and green onions. 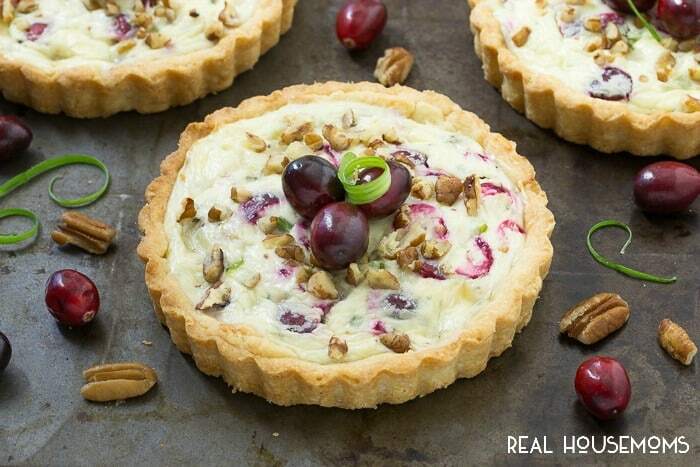 Spread mixture in baked tart shell; sprinkle with pecans. Bake for 20 to 25 minutes or until filling is set. Let stand 30 minutes before serving. Cut into wedges. Store covered in refrigerator. 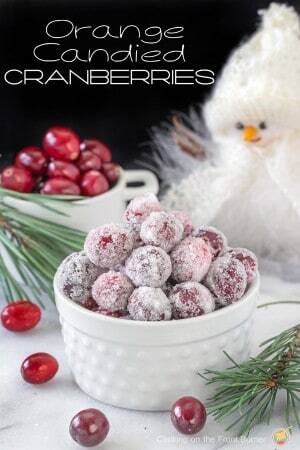 You could also get a bit fancy and garnish with sugared cranberries and YES you can make these yourself without too much trouble and they are so good! This is an awesome idea! 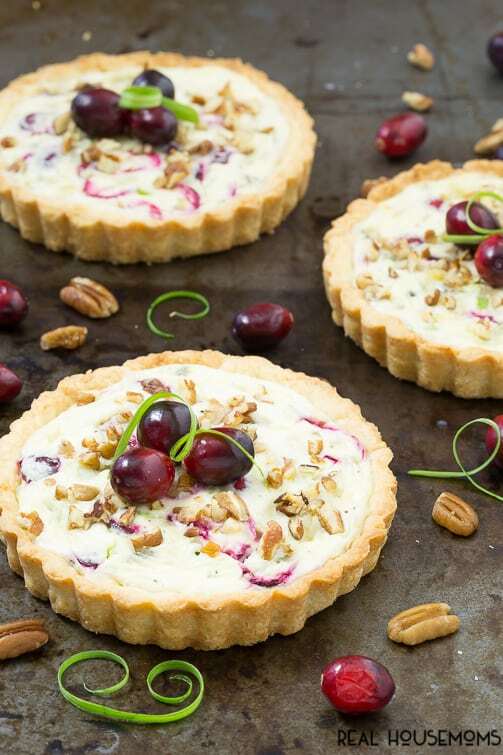 It looks so easy to make but the end result looks like a gourmet tart! Love it! !